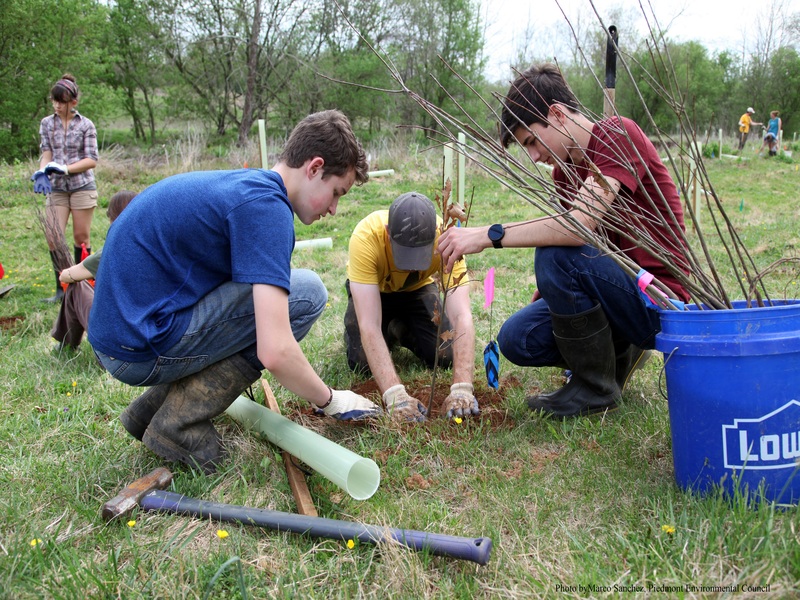 Friends of the Rappahannock is seeking volunteers to help plant trees along the Robinson River, a tributary of the Rappahannock in scenic Madison County, Virginia. Volunteers will be working to establish a riparian forest buffer, which helps filter runoff, absorb pollutants, and shade the river, and help create habitat for native plants and animals. Friends of the Rappahannock will provide all planting materials. Volunteers should arrive at the planting site at 9:30 am, dressed for the weather and wearing tough shoes. Participants are encouraged to bring a water bottle and pack a lunch. The planting will last until approximately 2:30 pm. Participants 16 or older are welcome to participate. All minors must bring a waiver signed by a parent or legal guardian. Download waiver. A shuttle will be avilable for participants form Friends of the Rappahannock (3219 Fall Hill Ave, Fredericksburg, VA 22401). The shuttle will depart at 8 am and return no later than 4 pm. Groups of 5 or more should not register through the website, but should contact Adam Lynch (adam.lynch@riverfriends.org) directly to check availability. We look forward to seeing you there! If you have any questions please let us know.